The purpose of our website services is quite simple. To generate interest in a particular product, service or community group. In most cases website services are to help generate income through a new channel, or enhance a website income stream that is already set up. Our professional website services have helped many hundreds of businesses grow, so we encourage you to investigate the businesses we show off in our web portfolio and results pages and see how these results and successes could apply to you and your business. The success of our company has been based on the success of our clients. Without their success we simply couldn’t have lasted this long in what is a very competitive and cut-throat industry. Part of the reason we remain at the forefront of this field is our mind set regarding Search Engine Optimisation (SEO). 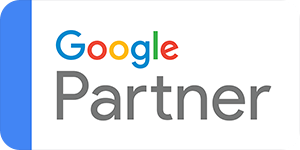 In developing our ‘Purpose Built SEO Websites’ we have proven that SEO and website design and development can truly be an integrated partnership. Through strong strategic direction, great coding and custom web development we get results that far outweigh industry standards. Our website services and digital marketing strategies have become integral to a growing number of companies around Australia. Tracking our internet marketing strategies is easy! With any digital marketing campaign TBA Media will implement advanced website tracking forms, email tracking, and incoming phone call tracking. The results we produce are quantifiable and you will clearly see the impact we have on your business. Tba Media also offers our clients the opportunity to use our super-fast, Australian based hosting servers for both emails and your website. View our website services examples; you will see the professionalism deployed in all our website launches for yourself first hand. Give us a call if you have any questions or require a quote.